This memorial contains the same names as Owlerton Church War Memorial, commemorating the men of Owlerton. 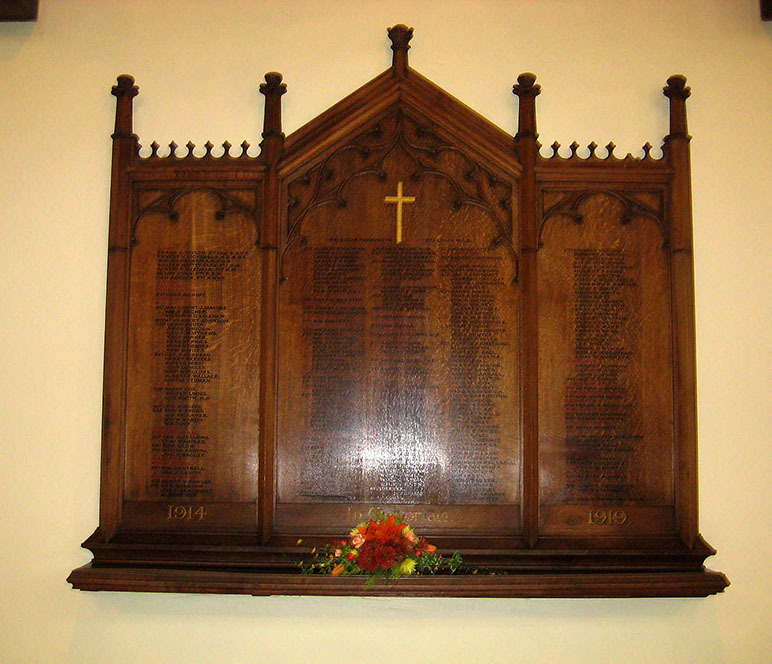 The War Memorial in the South aisle consists of a finely carved oak frame of Gothis design on the panels of which are the names of 244 men who fell in the Great War. The cost was £75. A War Memorial Hall was opened in 1926 at a cost of £5,000.